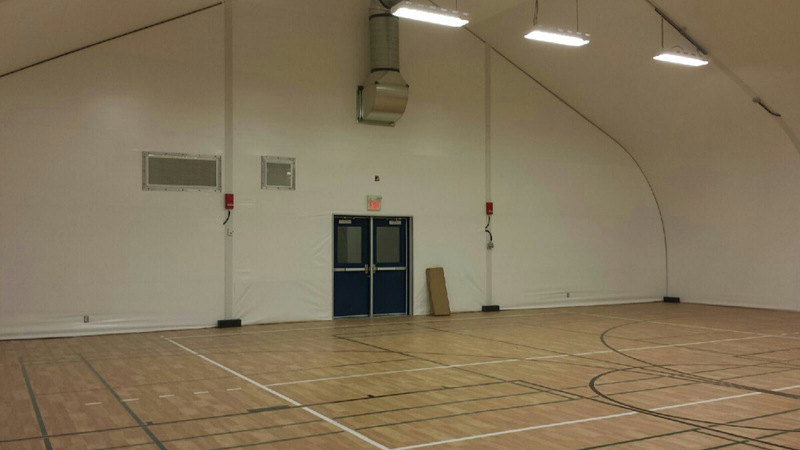 After the recent floods of 2013, many schools in Calgary, Alberta were damaged beyond repair. 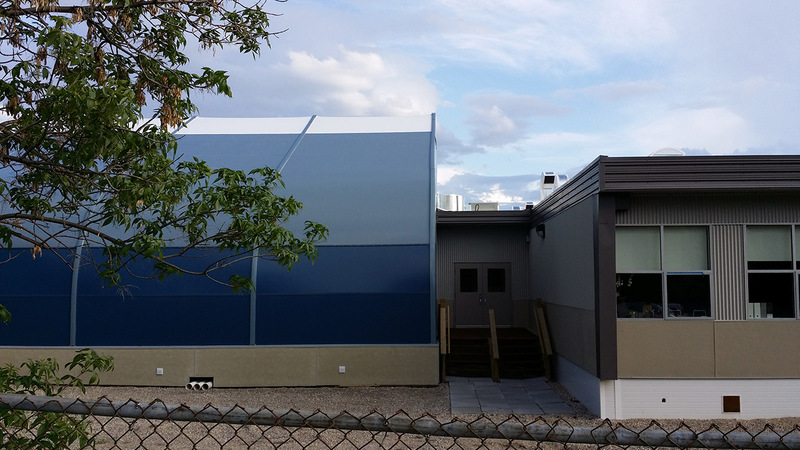 A 60’ wide x 60’ long Sprung structure was quickly erected in this downtown residential neighborhood school. 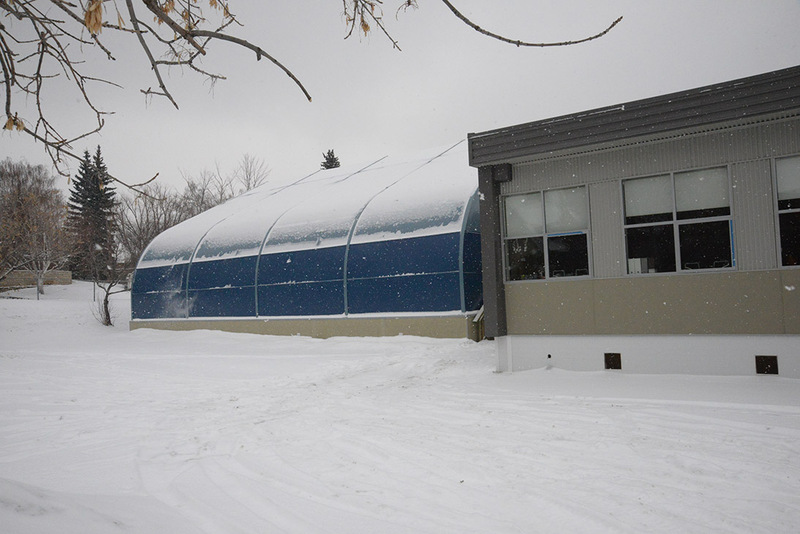 The Sprung structure is fully insulated and features Salem Blue Kynar Architectural membrane. A protective hard wall “Sprung Shield” is added around the exterior to prevent vandalism. 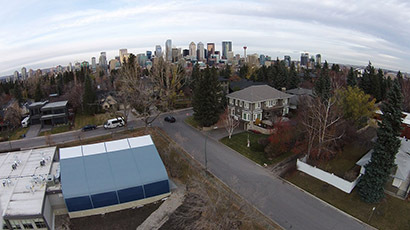 Elbow Park School is located in South West Calgary, Alberta. The daylight panels in the peak of the structure which let in the optimum amount of natural light. 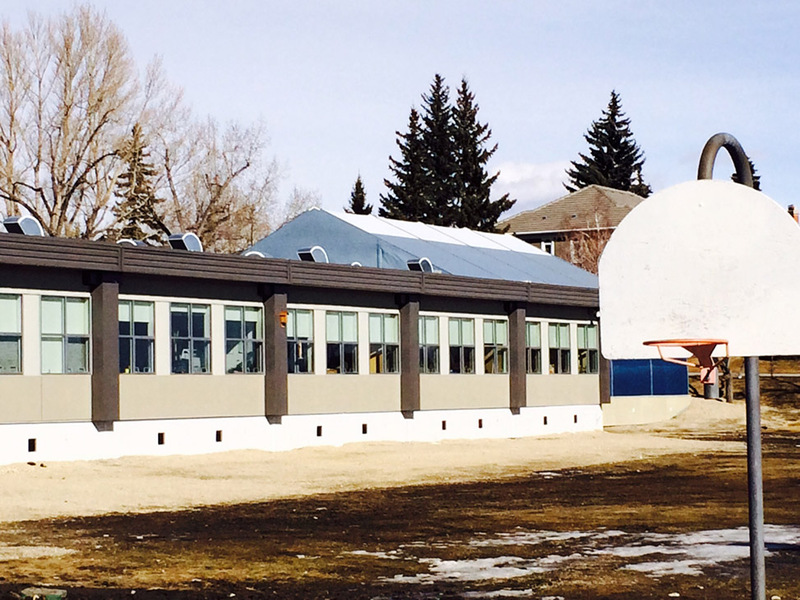 After the recent floods of 2013, many schools in Calgary, Alberta were damaged beyond repair. A 60’ wide x 60’ long Sprung structure was quickly erected in this downtown residential neighborhood. 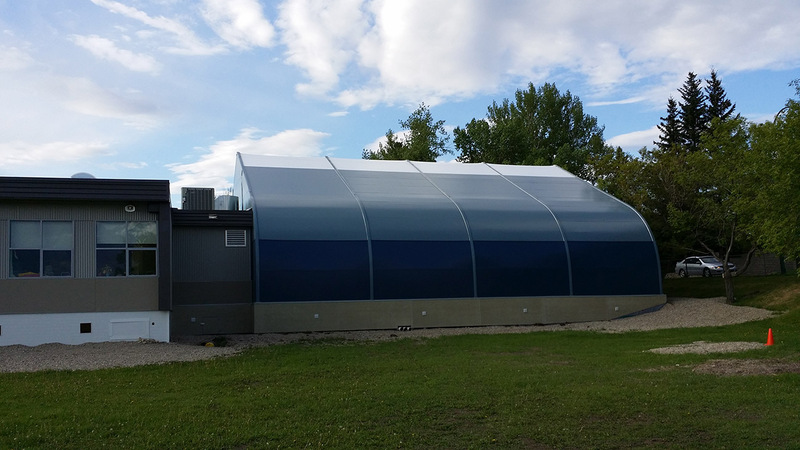 The Sprung structure is fully insulated and features Salem Blue Kynar Architectural membrane complete with daylight panels in the peak of the structure which let in the optimum amount of natural light. A protective hard wall “Sprung Shield” is added around the exterior to prevent vandalism.